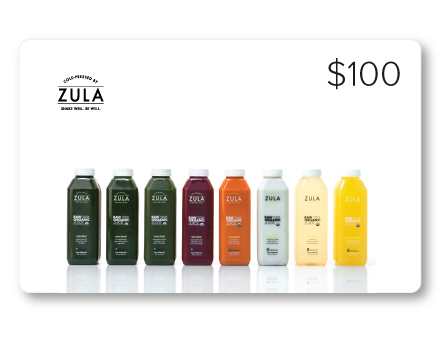 A great way to get introduced to Zula juice + cleanse lifestyle, our $100 gift card is valid on any of our juice + cleanse products. Perfect for your best employees and loved ones. Cheers! Choose multiple e-cards in one transaction and designate recipients at checkout. Customized printout with personalized message also available. 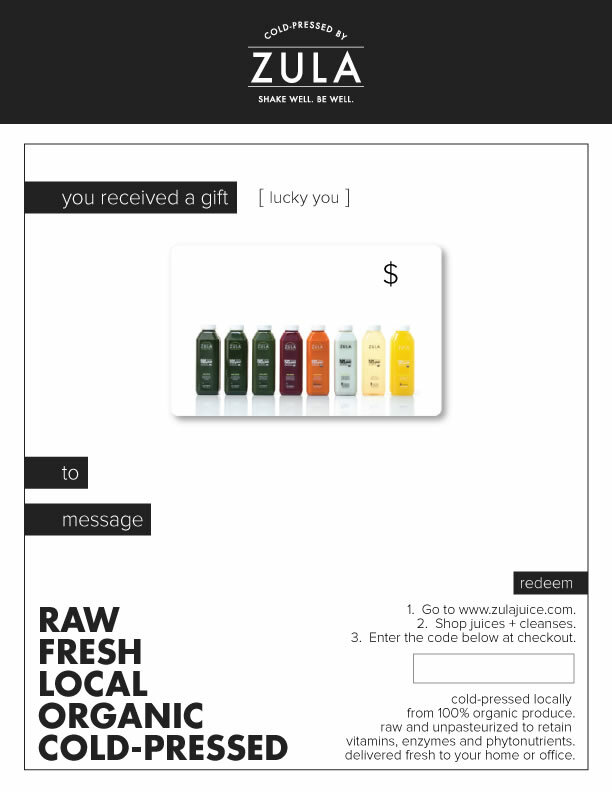 Gift card redeemable towards Juice and Cleanse products from ZulaJuice.com for the value equal to the gift card purchase price. Printable card will be emailed as an attachment to either the buyer or the designated recipient entered at the checkout form. Place multiple eGift Cards in your cart and have the option to send each to a different recipient.